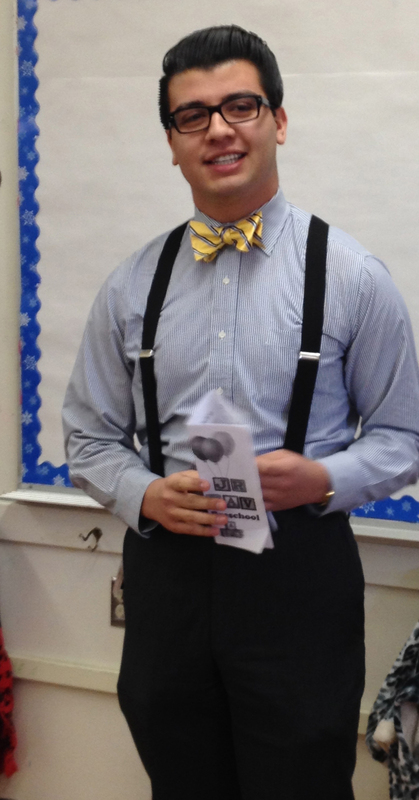 This Monday is our kick-off “professional dress” day of the year. Training our students to dress appropriately for business is part of our commitment to preparing them for college and career. When they become comfortable in the clothing styles required for interviewing, they gain confidence when the real job – or college or scholarship – interview takes place. They learn to shake hands and look an adult in the eye when they introduce themselves. Over the three years of practicing professionalism in class, the dressing for success habit becomes ingrained, and students take that self confidence with them as they move into their places in the wider community of adult life. 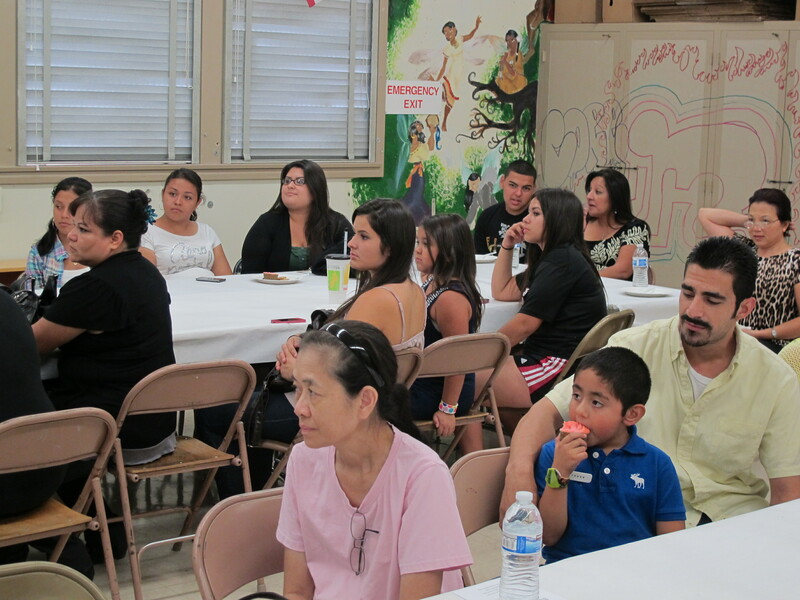 We had a good turn-out of AOAT parents for the Back to School night Social on Thursday. 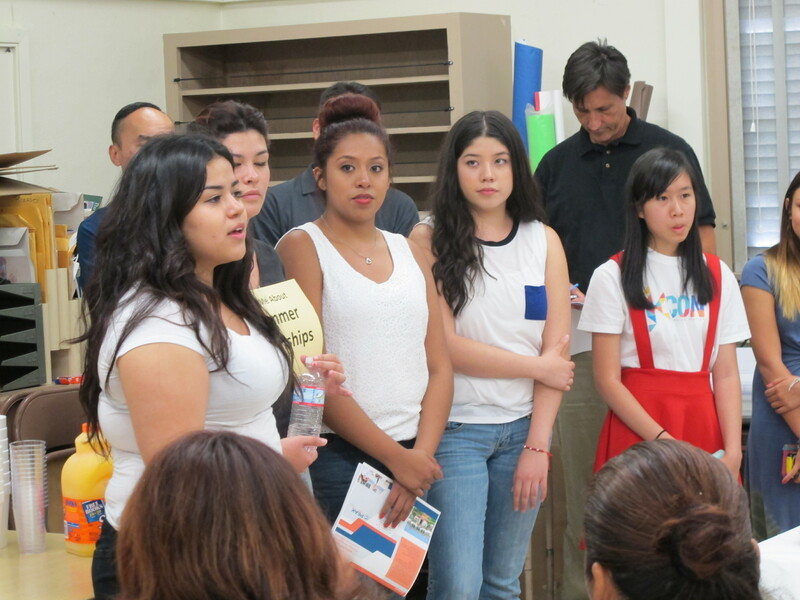 Students baked and brought refreshments, teachers introduced themselves and welcomed the families, and several summer interns shared how they benefited from their varied experiences. Many of our AOAT alums also turned out, and it is wonderful for the teachers to see how our “babies” grow up and prosper after they leave the academy “nest”! Several of the alums volunteered to come speak to seniors over the next weeks as the deadlines for college applications approach. We want all students to continue their educations, and hearing the benefits – and fun – that college provides can be an incentive for the less academically inclined. As this is the 10th year of AOAT, we have lots of alums who are now college grads. We hope all of them will continue their relationship with AOAT, and participate in supporting current students. This coming Thursday, September 18th, is the annual Back to School Night for parents to visit campus and meet the teachers. AOAT is hosting a Parent Social to gather our AOAT families together for mingling and refreshments before the classroom visits begin. Parents are such an important factor in student success, and we want to encourage our students and their parents to be the best “learning teams” that they can be. When the vital role of education is stressed at home, then studen ts come to school motivated to excel. 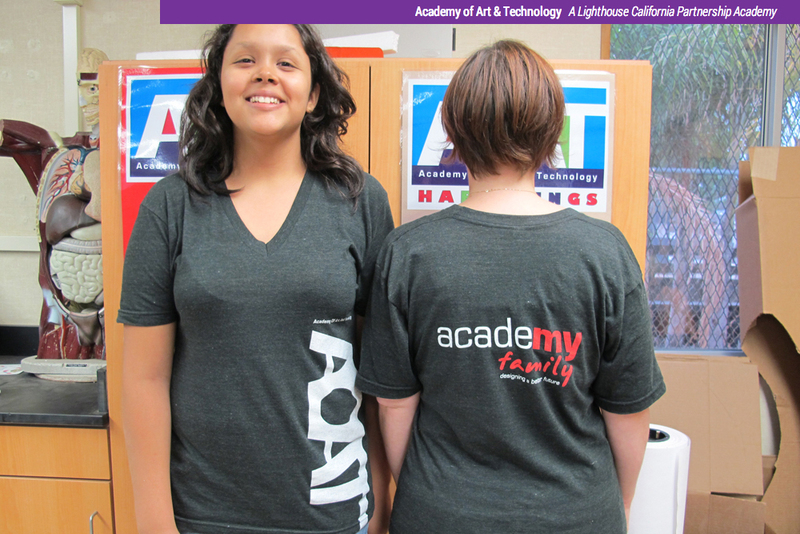 Parents can also order AOAT shirts at the Social. This past week, Academy students submitted their shirt designs, teachers selected the best two, then all grades voted on their favorite shirt for this big Anniversary year. Orders are being taken this week in art classes and at Back to School Night, and shirts will be printed next week. Don’t miss out – this shirt is sure to be a collector’s item when supplies run out! AOAT is celebrating our 10th year with a kick-off T-shirt contest. Academy students are submitting their designs for this special anniversary edition to be printed and sold as a fund-raiser and emblem of community pride. Previous shirts featured the message “my family” and we anticipate such sentiments this time as well. Entries are due by September 5th, and the winner will be announced in time to share the design at our first Advisory Board meeting of the year on September 10th.